Our professional Austin movers can assist you at each stage of your Austin move. Deliveries of furniture, moving items to storage, packing, loading and unloading are best left to our moving experts to ensure quick turnaround and professional results. If you're at the preliminary stages of moving, you may need to downsize and get rid of personal artifacts. 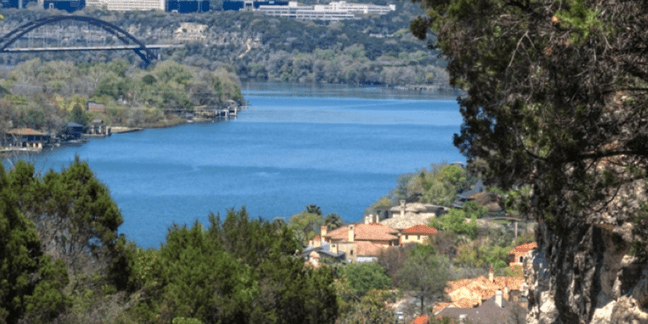 Many people moving to/from Austin opt for local storage solutions or utilize PODs to temporarily store items at some point during moving process. Leon Moving provides assistance moving items to and from storage. Our movers can assist you with moving a couple of items to storage or perform one to multi-unit storage moves as well. At times the best solution is to downsize permanently. If you haven't used it in two years, then you probably won't miss it. Leon Moving works closely with many consignment and furniture stores around Austin. We have successfully completed over 1,000 deliveries helping customers make their new Austin home their very own. Our movers will load, unload and setup your new furniture. Our vast experience handling delicate items, heirlooms, pianos, pool tables and more means your possessons are in good hands. "These guys are fantastic... [they] are the epitome of professionalism and packed my 20 foot u-haul truck carefully, and completely for my move from Austin to Charlotte. Everything arrived in great condition." Because packing is the most time consuming, it's best to start one week in advance or our movers can pack for you the day before your move to or from Austin. Our movers will come with the proper materials and are trained to get the job done quickly. Equally important, they know how to minimize the chances of damage occuring during transport. Save time & minimize damage during your move using our experienced movers for your move to Austin. Here's an approximation of the time it may take for experienced movers. Keep in mind that no two jobs are the same and your job may take less or more time. DIY Tip: It's advisable to start packing for your Austin move at least 6 weeks in advance. On the moving day don't hesistate to enlist our moving team to help you with your Austin move. Our movers carry all the necessary equipment to properly wrap, strap, and protect your furniture for transport. Many Austin residents have entrusted us with their moves because our movers skillfully manage the loading and unloading to get you into your new Austin home as quickly as possible. Our movers have experience with apartment moves, condo moves, assisted living moves & other residential moves of single story as well as multi-story homes. Leon Moving offers residential moves and a variety of other moving services so you can successfully complete your Austin move. DIY Tip: Don't skimp on properly protecting your furniture such as removing glass shelves, removing leaves from tables, & securing drawers to name a few. © Copyright 2013 by Leon Moving LLC. All Rights Reserved.